I’m pretty opinionated when it comes to piping details on furniture and decor sewing. From defining visual lines, creating high contrast outlines, learning to sew or upholster properly with piping and the long-term durability of piped edges, there are a lot of cautionary tales to be told. Piping creates an exaggerated physical outline on furniture. It tailors otherwise unstructured looks and can add interest without gaudiness. On an overstuffed sofa, piping can be used to create definition and balance a marshmallow effect with structure. However, by definition, it causes your eye to trace along all the edges and calls attention to the precision of points and seams. If your seat cushion cover shifts from normal use, causing the band around your cushion to push forward, you notice it immediately. Piping looks amazing in a showroom or on display, but in real life it takes a lot of maintenance to sit in place properly. Think of that skirt that never sits on your waist as you move, or the lampshade that is proverbially tipped. Regardless of whether piping that is made from a high contrast or self-fabric, our eyes are trained to follow the lines of a seam. When using printed or patterned fabric, piping cut along the bias almost never aligns with the repeat on faces, creating a new visual distraction. As a teacher, I encourage students to build up to piped seams while packing patience and precision. Like a highlighter on text, piping highlights every seam and corner. If your sewing stitch is wavy, the piping puckers or is uneven in diameter. If your fabric puckers in a seam, the piped edge is obscured. If a student has limited hand dexterity, the multiple layers of fabric can be cumbersome. In upholstery, the tools and techniques to create piped lines take meticulous handiness. Making furniture and upholstering, I study furniture wear patterns, ergonomics and how we interact with our furniture. I’ve been asked countless times to “fix” a sofa or chair with worn piping. The remaining fabric can seem otherwise unharmed, but the edges of seats and outer seams are constantly abraded and subjected to pressure. Contrast piping will show dirt first, especially rub off from dark denim from backs of legs. Piping on arm seams will pick up oils from our skin and are perfect scratching points for pets. The average piped front seam of a seat cushion cover will wear 10x faster than the surface fabric of the cover. In custom furniture and sewing, piping will also cost more in time, labour and yardage requirement. It was once believed that piped seams in upholstery or decor sewing provided an anchor or reinforcing effect for the seam. 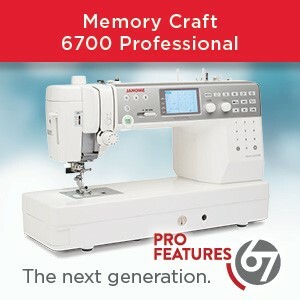 However, with today’s technology in sewing machines, overlock stitches and high wear fabrics, it is no longer the case. Properly double stitched seams, even with a top stitch detail, give proper support for long term wear. With the Janome 1600P, a consistent stitch length and adjustable pressure from the presser foot, piping is easier to sew both for piping prep. as well as the finished seam. The solid construction of the machine also prevents the waggle dance of the zipper foot that is so common with portable sewing machines. For stretchy fabrics I avoid cutting bias strips – the fabric will only stretch and grow as you sew the cord into the fabric sheath. However, my love affair with the Janome 1600P has a chapter on how little dispersion happens between 2 layers of fabric on this machine – which is such a key frustration when sewing seat cushion covers and piped seams in bulky fabric. The next time you plan a sewing or upholstery project, consider the application of piping and how long you want it to look as good as new. There are factors to consider: maintenance required to look tidy, traffic and wearability and if you’re the maker, your own skill level. Do you have a love affair with piping on furniture and in upholstery? Do you love the high contrast effect or prefer to have your piping covered in self fabric? 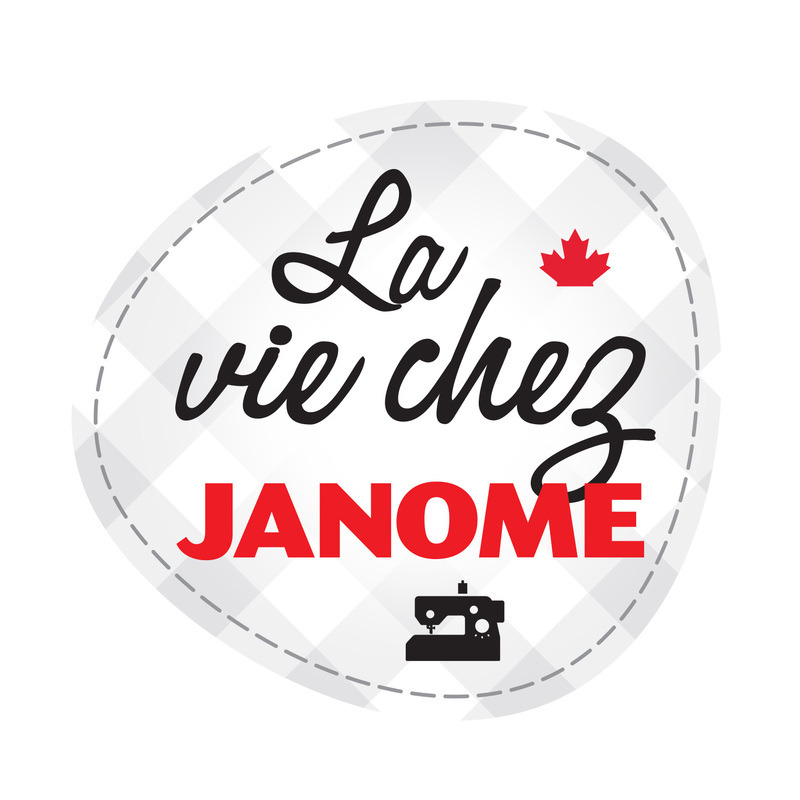 I am the National Education Manager for Janome & Elna Canada (including Artistic Creative products) and I LOVE to sew! 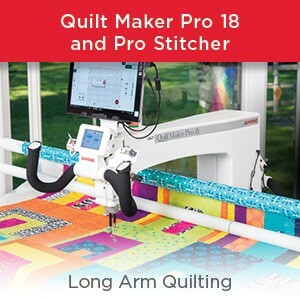 I have been employed full time in the sewing and quilting industry for almost 30 years so I bring a wealth of sewing knowledge & expertise to this blog. I enjoy all forms of sewing from quilting to sewing garments to machine embroidery and software. Pretty much everything in my life is seen through the eyes of a passionate sewer! I am constantly on the look out for fun, innovative and inspiring ideas to share with you all on this blog. I also love to read, knit , travel and spend time with my family and friends. This entry was posted in JANOME 1600P, Janome Life Guest Post and tagged Andrea Ford of Re:Style Studio Toronto, JANOME 1600P, Piping an Home Dec with Janome, Piping and upholstery with Janome, Re:Style Studio Toronto. Bookmark the permalink. I am with you on piping…. the modern minimalist fashion at the moment of no piping to me just makes cushions and upholstery look unfinished. My only bug bear with piping in cushion covers is when washed the piping cord shrinks !!!!! Maybe its just people who sew appreciate the details of fine piping/trimming or embellishment. Thank you for your comments. Have you tried pre-shrinking your piping cord if you are using cotton. Put it in a bowl or bucket and pout hot water onto it. Soak until cool & then hang up or lay flat to dry. 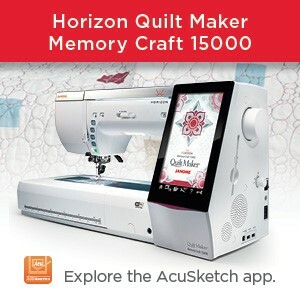 No more shrinking after you sew it into your project!